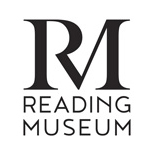 Welcome to "Museum Highlights", a project which is being undertaken in collaboration between the Reading Museum and the RGA. The Reading Museum has a wealth of RGA members' work in their collections. The association between the two go back to the foundation of the RGA in 1930. However, with limited room, not everything can be on display. With kind permission from the Museum, we here take the opportunity to showcase those works exhibited by our members and celebrate the RGA's rich heritage and wonderful art. Eventually, all the works will be available as a new topic within the Museum's Online Collections. Many thanks go to the support of Elaine Blake and the team (past and present) at the Reading Museum. This painting conjures up many questions, not only about the view but also the artist. Titled Old Houses, Reading this oil painting was exhibited at the Reading Guild of Artists Thirty-Second Annual Exhibition, Municipal Art Gallery Reading May 5 – June 2 1962. At the time, the artist Mrs Norah Bucquet lived at 62 Woodcote Road, Reading, where she had lived since at least 1945 with her husband Aubrey Charles Bucquet. Norah was born in Wales 1903, married in Reading 1940 and she died 1977. Very little else is known about the artist as a person, other than that she was a member of the Reading Guild of Artists 1958 – 1973, exhibiting only one oil painting a year and often not exhibiting at all. She had exhibited another work of the area titled Farm at Woodcote in 1959. Was this painting a view from her home – can we recognise any familiar landmarks in the distance? This oil painting by Cecil H. A. Willett was exhibited at the Reading Guild of Artists Twenty-sixth Annual Exhibition Municipal Art Gallery May 5 – June 2, 1956. Cecil Harold Alva Willett LRIBA was know as 'the Borough Architect', reported by the Reading Chronicle as having joined the staff of the Reading Borough Council in 1925, and retiring in 1961, shortly before his death in 1962. Cecil Willett lived in Tilehurst, however not much more is known about the artist except that he was described as 'one who had been extremely helpful on the RGA Council in the late 1950s' where he was the convener of the House Committee at the Everyman Theatre where the RGA hired a room. The artist signs his work with just the initial W.
In the 1970s the Reading Town Hall and buildings survived the threat of demolition. The Museum and Art Gallery had been closed since 1989 when a decade later “In January 1998 a small group of artists, dressed in warm clothing and sturdy shoes, put on hard hats required for a building site. We began our first of several visits to areas of the Museum of Reading and Town Hall that had been shut up for nearly ten years”. Ruth Farrelly was one of the seven artists chosen from the RGA members for their wide range of mediums and styles plus a willingness to work over two years. The collection of work produced was then exhibited as part of the Reading Museum's Artist at Work – more than a lick of paint. A member since 1973, Ruth studied at the Central School of Arts and Crafts, Holborn and then trained as a teacher, and for many years taught adult education classes in Berkshire. She studied printmaking at South Hill Park, and also in France for two years. Friend and fellow member Jean Aust says "She was the most instinctive artist for line, composition and colour that I have ever had the pleasure of working alongside. Ruth was a real asset to the RGA by regularly offering her professional creations for exhibition and for the years she spent on RGA Council." Until recently she was also a keen participant in our Earley Painters sessions. Sadly Ruth passed away in her centenary year just days before the RGA Museum Pop-up in February 2018 where this linocut was being exhibited. Moonrise, Stanford Dingley was exhibited at the Reading Guild of Artists Thirtyfifth Annual Exhibition, at the Municipal Art Gallery, Reading, May 1 - May 25, 1965. This is one of many works in Reading Museum's collection by Frank Ormrod. His home and the surrounding landscape of Stanford Dingley was of endless inspiration to him as subject matter. As well as oil paintings he exhibited lithographs and other printmaking techniques. He 'retired' as President in 1969, and was made an Honorary member. He continued to exhibit at the Annual Exhibition until his death in 1988. Frank Ormrod is listed on the London Transport Museum website as having designed the posters for London Transport in 1937. Gilbert Spencer RA (1892 - 1979) was a painter of landscapes, portraits and murals and worked as a teacher in various leading art schools. Working in a style similar to his older brother Stanley, in both oils and watercolour, he has often been overshadowed by his brother who said that Gilbert “was the better draftsman”. Although Soldiers Relaxing, Hook End Farm, Basildon, Berkshire was not exhibited with the RGA, like this work, his home Tree Cottage in Upper Basildon and surroundings were often used in the subject matter for his work. Gilbert became a member of the Reading Guild of Artists in 1938 along with his wife Ursula, a former student of his. Both exhibited that year, Gilbert with an oil painting Burden’s Farm House, and Ursula with two works, A Cottage at Northdean and Farm Buildings. During WWII (1939-45) Gilbert served in the Home Guard and worked as an Official War Artist. Gilbert was made an Honorary Life Member of the RGA in 1953, and exhibited several more works during the 1950s reflecting his home. This oil painting by Giulio Bagnoli was exhibited at the Reading Guild of Artists 34th Annual Exhibition Municipal Art Gallery Reading May 2 – May 30 1964, and was described at the time as 'arresting and harmonious'. Italian born Giulio N. C. Bagnoli was a member of the Reading Guild of Artists 1960 – 1976. He painted mainly town and landscapes in oil. His wife Christine Heather Bagnoli was also an active member of the RGA 1956 – 2009. They met at the L'École des Beaux-Arts Paris where she studied 1952 – 1954. Book cover of Reg Ford's Autobiographical work 'Record of a Pilgrimage' published in 1936. This drawing from the early 1930s is of a still very recognisable High Bridge (often called Duke Street Bridge). High Bridge (a grade II listed building) crosses the River Kennet in Reading town centre and is apparently the oldest surviving bridge that crosses the river. This drawing was exhibited in the Reading Guild of Artists Fourth Exhibition, November 1st to 30th 1933, Reading Art Gallery. The artist used this drawing as the frontispiece in his Autobiographical work 'Record of a Pilgrimage' published in 1936. Born in Reading 1909, Reginald, who suffered from muscular dystrophy from the age of 11, studied art at the Reading University under Professors Seaby and Pearce. He also studied lithography with the Berkshire Printing Company before becoming a freelance commercial artist. He was possibly one of the youngest members of the Reading Guild of Artists, being 21 when he first exhibited in our founding year 1930. On Friday 11th May, 1973 the Reading Chronicle reports on the death of one of Reading's best-known artists, Reginald W. Ford. Among his more famous works was a balsawood scale-model of the Reading Abbey and its surrounds as he thought it existed in its prime. of his pupil Joan Willis, 1926. Many thanks to our Chairman and Joan’s son Anthony for sharing this delightful sketch and family story with us. Joining in the Guild's very first year, one of the then more widely known artists was Mark Symons, who at the time was seen as a controversial artist whose modern treatment of religious subjects was attracting the attention of the RA and elsewhere. His works were often ambitious in size. At one of these lessons Joan brought along her autograph book and asked if he could sign it. Continuing with the lesson as usual, Mark handed back the little book at the end without a word, and Joan was disappointed as she thought he hadn't signed it. Later however, she found not only had he signed it but had also sketched the young artist at work, adding the caption “Why won’t this picture come right?”, eluding perhaps to the deep concentration of his pupil, although the caption did annoy Joan at the time, as she thought it was going quite well. 'Later on, I was invited to tea with him and his family – he was living at that time, I think, in Caversham. There was a baby in a high-chair. I suppose it must have been Molly. Mark cut the loaf at the tea table. In those more formal days, I had never seen this done before...'. As well as the preparatory study for Molly in the Pantry, and Baby Anns Breakfast (another daughter in the very same high-chair?) the Reading Museum have in their collection a whole series of Mark Symons sketches. Not all the Museum Highlights are by past members. This work is an example of one of our current members' work. Tom Carmill’s Convergences XXI, which was acquired for the Museum by the Reading Foundation for Art, was on display in the Sir John Madejski Art Gallery, Reading Museum as part of the Patrons and Donors: Reading's Art And How it Got Here... This exhibition demonstrated the many ways the Museum has acquired its impressive and wide-ranging collection of art throughout its history. Convergences XXI is a pencil drawing on gesso board (a mixture of plaster of Paris and glue) and was made at a time when Tom Cartmill was exploring overlapping ideas about geological time and archaeology, the changing movements and textures found in nature and the layering of his memories. The drawing is a network of converging pencil lines. The work also explores an interest in visual perception that has underpinned his practice from early on. This work dates before Tom became a member of the Reading Guild of Artists in 2009. Reading based artist Tom Cartmill has spent much of his adult life overseas. He returned to the UK in 2003, settling first in Mortimer, where he had the beautiful Victorian-brick Old Fire Station as a studio for almost a decade. He is currently based in central Reading, with a medieval barn for a studio at Amners Farm, Burghfield. Tom Cartmill's long stints living in New Zealand, Spain and Italy and travels through Asia, in particular, have greatly informed his work and his years spent in Sicily and Spain, where he became interested in the Moorish heritage, have been particularly influential on his practice. He has exhibited widely, both in the UK and overseas and has exhibited regularly at the Royal West of England Academy, Bristol, and at the Royal Academy Summer Exhibition. This is possibly the view from the artist's home in Matlock Road off Woodcote Road near the junction with St Peter's Hill. Faith Ashford (1884-1967) was a founder member and regular exhibitor of the Reading Guild of Artists until she moved away to Newcastle around the mid 1940s. In 1911 she worked as a 'Kindergarten Assistant Schoolmistress' in New Earswick village, Yorkshire (a garden village established in 1902 by Joseph Rowntree), boarding with 'Kindergarten Schoolmistress' Annie Pritchard. By 1930 they lived in Matlock Road, Caversham Heights, where 'Miss Ashford was a lecturer at the Reading University School of Art, and Miss Pritchard ran a school for the mentally disabled.' The artist and fellow Guild member Mark Symons was a frequent visitor to their home. Faith Ashford mainly exhibited oil paintings, including Portrait of Anne Pritchard in 1936, but also exhibited weaving. She 'had a weaving loom on which she wove the material for their clothes, it was, by local standards an unusual household' says a young neighbour of the time and future member of the RGA Joan Wilder. The grave inscriptions records of the Mevagissey Old Cemetery show us that Faith Ashford died June 24th 1967 and is buried with her life long companion Anne Pritchard 1876 – 1955. A. Duncan Carse (Andreas) was a notable figure and decorative painter of the early 20th century. Bargain Hunters was exhibited at the Reading Guild of Artists Fourth Exhibition, Reading Art Gallery, 1933 November 1st to 30th. A. Duncan Carse often worked on a large scale in great detail using Tempera. A. Duncan Carse joined the RGA in 1931, serving on its Council 1934-35, and was made Vice-President in 1937. With his death late in 1938 the RGA was 'robbed of one of its outstanding exhibitors but also of its Vice-President'. The Lilies for Oscar Wilde are now on display at the Reading Museum. Why not combine your visit with which includes our current Museum Highlight Head Carved in Limestone by Albert C Carter. This work was simply called Head Carved in Limestone in the catalogue of the Reading Guild of Artists Twenty-Seventh Annual Exhibition, Municipal Art Gallery Reading May 4 – June 1, 1957. One of the most long-standing Presidents of the Reading Guild of Artists was sculptor Albert Clarence Carter, in a time when the position was not limited to 5 years. A member of the RGA Council from the very first year, he became President in 1934, a position he held until his death in 1958. 'A formidable man, whose influence was to be both powerful and sustained'. Born in Lambeth, Albert was the second son of a carpenter, and at 19 was an apprentice metal engraver. He would exhibit metalwork as well as sculptures and the occasional oil painting at the RGA Annual Exhibitions. His sculptures, mainly portraits and figures, were worked in stone, marble and wood. He'd studied at Lambeth and Central Schools of Art. In 1933 he gave an illustrated lecture 'The Meaning of Sculpture', which he begun by saying that he 'found it very difficult to reconcile so-called modern sculpture with his ideals'. Extolling the virtues of the classical approach he pointed out that 'in great historic periods the best work had been produced by civilisation that was approaching its ideal'. He was a member of the Royal British Society of Sculptors. Leslie Ernest Windsor was one of the Reading Guild of Artists longest serving members joining in September 1932 on the strength of his woodwork, his first exhibit being a 'Radio-Gramaphone Cabinet'. He later went onto exhibiting watercolours. He served on the RGA Council 1951-1957 and continued to exhibit with his watercolours, many of local buildings and scenes, until 1989. Demolition, Hosier Street, Reading was exhibited at the Reading Guild of Artists 29th Annual Exhibition, May 2 – May 30 1959 at The Municipal Art Gallery, Reading, catalogue number 83 for 12 Guineas. Part of Hosier Street still exists, but now looks very different. Running off St. Mary's Butts opposite Minster Church of St Mary the Virgin, part of this demolition site eventually became the Butts Shopping centre (now Broad Street Mall) a decade later. Hope Street was approximately where Queens Walk is today. In the catalogue of 1963 it states 'The Guild regret the loss of one of its original members and well-known artists Dr. F. A. Brodribb of the Cottage, Bucklebury, who died on 3rd August, 1962.' He exhibited every year from 1930 to 1962. Near Eastington, Gloucester by Julia Forrester was exhibited at the Reading Guild of Artists 23rd Annual Exhibition at the Municipal Art Gallery Reading, May 2nd - May 30th 1953. Julia Forrester was a member of the RGA from 1944 until her death in 1984 at the age of 89. She served the RGA Council from 1949 and in 1955 became the Guild's Secretary for the next 14 years. During this time she was heavily involved with expanding the RGA's horizons with her initiative and drive. She was a great advocate of the new Associate members, and was the instigator and organiser of group art classes know as the 'Carnegie Classes' which were held both in and outdoors, with often over 40 'students' in attendance. Julia worked in oils with her subject matter including flowers studies, still life and landscapes. One of her works Cyclamen was described to show the influence of Cézanne, an influence that can perhaps also be seen here too. Julia Forrester later married Noel Gallagher, who became, along with Julia's daughter, one of the first Non-practising members of the RGA in 1962, having been the Guild's auditor since the mid 1950s, a roll he continued to do until 1977. This work was exhibited at the RGA 28th Annual Exhibition at the Museum and Art Gallery Reading 3rd May - 31st May 1958. Gilbert Adams was a long-standing and active member of the RGA from the very early days and exhibiting right up to and including 1995, the year before his death. Gilbert was part of a family of artists and photographers based in Reading. Son of Marcus Adams (internationally famous children’s photographer and artist), who was the son of Walton Adams (photographer and inventor). Marcus and his brother Christopher were also members of the RGA. Gilbert's wife Thelma Mason was also an artist and a member of the RGA. Gilbert Adams served on the RGA Council several times over many years, chairing a social committee and even supporting RGA activities by lending his studio at 22 Market Place for drawing and painting from a model: "Being young and quite dedicated to the Guild by the time War broke out in 1939, I recollect the sense of and urgent need to keep the RGA going". He won the Marie Dyson Award in 1970 and 1987. He wrote in 1980 on reflections about the early days of the RGA "It seemed a happy group imbued with a great desire to raise the standards of work both in its part-time and in its professional members". Words that still reflect the RGA today! Photograph: The Reading Guild of Artists exhibition opened at Reading Art Gallery (Museum) on Blagrave Street in Reading. This photograph was published in the Berkshire Chronicle on 12 April 1940. The painter of this work, Annie Bradley, exhibited at the very first RGA Annual Exhibition at the Municipal Art Gallery, Reading Museum, 1930. She served continuously on the RGA Council for the first eight years of the Guild's existence, was vice-president from 1939-1941, and at whose house Council Meetings were regularly held. She was a "competent and sound painter" in both oils and watercolour, many of which were portraits. In 1935 two works were listed in the catalogue of the Annual Exhibition about which was reported in the Evening Gazette Nov 12th 1935: "Another outstanding picture among the oils is Green Girl in St Mary's Church Reading by Miss Annie M Bradley, also of Reading. I do not understand the title as perhaps I ought but I admire tremendously the calm lovely grace and rich parchment tone of the drapings. The picture has a companion Reading's Green Girl at Work and here again a lovely figure set in lovely shades". Annie Bradley was an Art Teacher with perhaps some connection with the "The Green Girls' School?" "At a Council Meeting held in September 1941 we read, sadly, of a posthumous vote of thanks 'to the late Miss Bradley, their host for so long … She had been in the thick of things right from the beginning.'" In the RGA Annual Exhibition 1942 it states: catalogue number 22, Annie Bradley (The Late), The Green Girl, oil painting, no price. Probably hung in commemoration of her service to the RGA. Our first choice links well with our 87th Annual Exhibition "Hooray Henley!" and celebrates our close links with Henley-on-Thames. This work was exhibited at the RGA 36th Annual Exhibition at the Museum and Art Gallery Reading 7th May-28th May 1966. This was the first year Reginald Smith exhibited with the RGA so we can only imagine his feelings of having one of his works bought by the Museum for their collection. A landscape painter Henley-on-Thames, Oxfordshire was one of 4 works he exhibited in this year, two oils and two watercolours, the others all being scenes of Kettlewell in Yorkshire. Reg Smith was a professional artist and notable exhibitor in the 1970s. He served on the RGA Council for several years, seemingly greatly involved with the RGA's social activities, as well a designing covers for two of the Exhibition catalogues. He exhibited for the last time in 1979, when it was later reported “the very sudden and totally unexpected passing of one of [our] most active and best loved practitioners”.